Providing a wealth of information, this A-to-Z encyclopedia is a comprehensive one-volume reference to the literary works, writers, and concepts of the Renaissance. Spanning the years from approximately 1500 to 1660 CE, this guide examines the history and development of literature as it flourished around the world during this period. 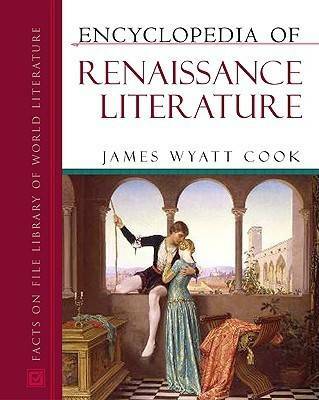 Covering not only European literature but also the people and works of China, India, Japan, the Islamic world, and the Jewish diaspora, as well as written and oral literature of the New World, Africa, and Oceania, Encyclopedia of Renaissance Literature is ideal for anyone interested in the literature of the Renaissance. Cultures and languages covered include English, French, German, Italian, Spanish, Chinese, Indian, Islamic, conquest and New World literature, and more. Literary and historical terms are also included.